There are many factors that go into an individual’s or a family’s decision to purchase a home. Such factors include structural characteristics of the house such as square footage and number of baths, property tax levels, proximity to amenities, neighborhood quality, and school quality, all of which are reflected in a house’s retail price. Of particular interest to homeowners, economists, and policy makers is the effect of school quality on housing prices in any given area. Numerous individuals have performed studies attempting to quantify how much individuals value school quality by analyzing housing prices in school districts of different quality schools. Some studies have placed emphasis on “output-based” means of measurement such as standardized test scores and school ranking while others have used “input-based” measurements such as teacher-pupil ratio and per-pupil spending. Most recently, researchers have focused on the use of standardized test scores as a measure of school quality and have compared these to the prices of housing in corresponding school districts. Much of the research on the impact of school quality on housing prices can relate back to the model developed by Charles Tiebout in his 1956 paper, “A pure theory of local expenditures”. In conducting his research, Tiebout’s model predicts that consumers pick a community to reside in based on which community best satisfies their preference patterns for local public goods (LPGs), which include schools, parks, and other amenities. Furthermore, these individuals will move to the community whose local government best satisfies their sets of preferences, resulting in individuals self-sorting into homogenous communities with residents who demand equal levels of quality of LPGs (Tiebout, 1956). This model can be applied to the analysis of school quality on housing prices. According to such a model, individuals with similar preferences will populate a community. Thus, individuals who prefer better quality schools may be willing to move to a community in which they pay higher housing prices because their desired LPG quality exists there. Many studies have been conducted in the past two decades to further explore the effect of school quality on housing prices in various cities across the United States. The Reinvestment Fund (TRF) conducted such a study which measured school quality in Philadelphia and quantified its impact on the value of Philadelphia real estate. In this study, residential sales between 2006 and 2007 are geocoded and combined with data on the elementary zone in which each sale lay as well as the percent of elementary school students scoring proficient or above on the combined Pennsylvania System of School Assessment (PSSA) for Reading and Math at the schools in that zone. TRF also used a multilevel modeling analysis that accounts for correlation at various levels and among several factors, in its study in order to more accurately assess the relationship between school quality and housing prices. This model takes into account the fact that other neighborhood characteristics are correlated with school quality and may affect the prices of housing in a given school district as well. This model attempts to get rid of some bias, but some bias still remains due to omitted variables that haven’t been controlled for. This study concluded that point increases in Structural Decline scores, which measure the impact of new construction and neighborhood disinvestment on housing prices, reduce sale prices of homes by $1.50 per square foot. Similarly, point increases in Crime scores, which measure the impact of crime on housing prices, reduce the sale prices of homes by $1.00 per square foot. Of even greater interest to this paper, TRF’s study found that for each percentage point increase in school district PSSA score of students who scored proficient or above, the prices of housing in that area increase by $0.52 per square foot. The correlation between housing prices and school quality can be seen in the Figure 1 below. 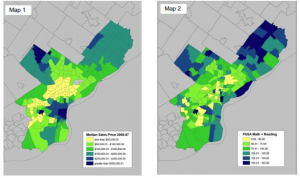 The two maps in Figure 1 show that central Philadelphia districts tend to be of lower housing price and lower school quality, and higher quality school districts and districts with higher housing prices tend to be clustered in the top right and top left regions of the Philadelphia area. Thus, this study shows that overall school quality, as measured by test scores, is positively related to the price of housing in that school district. 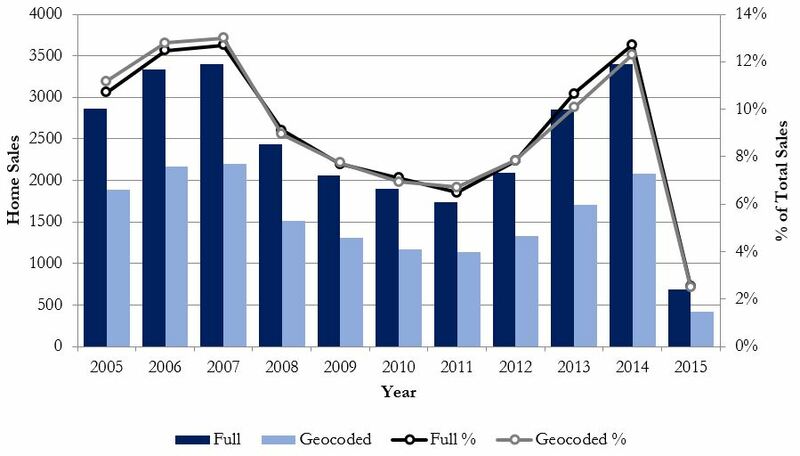 In another study, Kwame Owusu-Edusei and Molley Espey used data on housing transactions between the years of 1994 and 2000 to estimate the effect of K-12 school rankings on housing prices in Greenville, South Carolina. These two researchers used a relative measure of school quality – school rankings – rather than an absolute measure. Like many of the other studies that will be discussed later in this paper, this study applied a hedonic pricing model to estimate the quality of schools on housing prices. Owusu-Edusei and Espey made two important conclusions from their data: 1) high-ranked schools have values embedded in single-family housing prices and 2) greater commuting distances to schools has a negative impact on the value of property. In this specific hedonic housing pricing technique, the price of a house in Greenville, SC was modeled as a function of the following characteristics of a house: structural characteristics including condition, number of baths, square footage, air conditioning, lot size, and garage; block characteristics; proximity to parks, golf course and schools; and school rank categories. The study then used ordinary least square estimations of a semi-log model and regressions to interpret the data collected. As will be seen in many other studies documented, Owusu-Edusei and Espey found that proximity to and quality of a school does affect the prices of housing in its respective school district. Of the houses studied in Greenville, SC, houses with elementary schools within 2640 feet (a half of a mile) of their properties have prices 18% higher than those of houses located further than 10560 feet (2 miles) from an elementary school. Similarly, houses with middle schools within 10560 feet of their properties have prices 16% higher than those of houses located further than 10560 feet from a middle school and houses with high schools within 10560 feet of their properties have prices 12% higher than those of houses located further than 10560 feet from a high school. Furthermore, if an elementary school rated Good, houses in that school district sell for 12% higher than those in districts with schools with a worse rating. If a middle school rated Average, houses sell for 31% higher than houses in a district with a school of a worse rating. Lastly, if all K-12 schools in an area rated Average and Above, the value of homes is 19% higher in that area than those in areas with Below Average schools. Thus, it can be concluded that both greater proximity to and better quality of schools does positively affect the prices of housing located in their attendance zone. 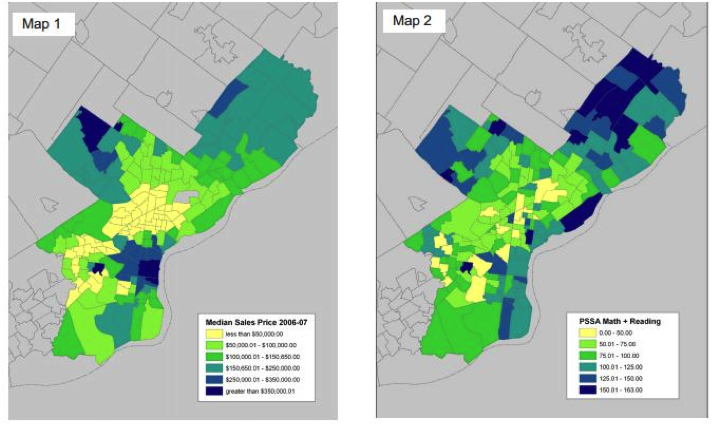 Sandra Black conducted a study of great importance, which also used housing prices – this time in suburbs of Boston, Massachusetts – to infer the value homeowners place on school quality (1999). Black used a sample of single-family residences within 39 school districts across 3 counties outside of Boston from 1993 to 1995 and used test scores on a statewide 4th grade assessment called the Massachusetts Educational Assessment Program as her measurement of school quality. Black set out to calculate how much more people are willing to pay for houses located in areas with better schools. However, Black made an extremely important observation that such a calculation can be complicated by the fact that better schools tend to be located in better neighborhoods, a characteristic which also influences the price of housing. Black concluded that estimates of the effect of school quality on housing prices that do not adequately control for neighborhood characteristics may overestimate the value of better schools. Thus in order to control for variation in neighborhood characteristics, property taxes, and school spending, Black used a hedonic housing price regression – which again describes house sale price as a function of the characteristics of the house and its location – that includes boundary fixed effects which restrict the sample of houses studied to those close to and on opposite sides of school attendance district boundaries. Instead of the traditional hedonic price function, Black used the formula ln(priceiab) = α + X’iabβ + K’bφ + γtesta + εiab in which boundary dummies (the K term) account for unobserved characteristics shared by houses on either side of the attendance district boundary. In this way, Black was able to eliminate bias caused by omitted variables such as neighborhood characteristics and property taxes. Black conducted her calculations twice: once using a simple hedonic housing price regression and once using a hedonic housing price regression which incorporated boundary dummies. Results from the simple hedonic regression indicate that a 5% increase in the average elementary school test score is associated with a 4.9% increase in house prices in that school district, as shown in Table 1 below. 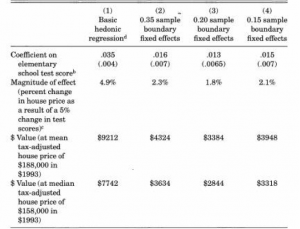 However, results from the hedonic regression which controlled for omitted variable bias such as neighborhood characteristics show that when houses observed are restricted to those within only 0.15 miles from the boundary of a school attendance zone, a 5% increase in the average elementary school test score is associated with a 2.1% increase in house prices in that school district (Table 1). This second calculation is roughly half of the estimated effect calculated using the simple hedonic housing price regression. 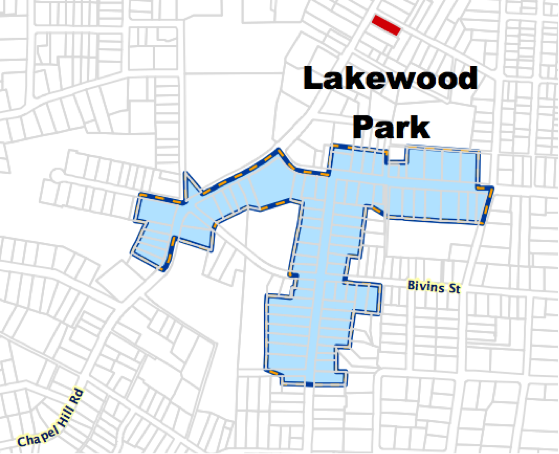 Thus, in her paper, Black has demonstrated that it is very important to control for neighborhood characteristics by restricting the housing sample used to houses on school attendance boundaries. Otherwise, one may greatly overestimate the value of school quality as shown by test scores on the prices of housing in the respective district. Yet, even after controlling for omitted variables, it can be seen that better school quality, as shown by an increase in test scores, has a positive effect on housing prices. Using both the work of Tiebout and Black as background research, John Wulsin more recently conducted a study on the effects of school quality on housing prices in Durham, North Carolina. In his paper “An Analysis of the Effects of Public School Quality on House Prices in Durham, North Carolina” (2009), Wulsin stated that when families buy a home, they also buy the right for their kids to attend the local public school in that district and that the price of that right is incorporated into the price of the house they purchase. Like Black, Wulsin used school performance composite test scores, which is the North Carolina Department of Education’s standardized metric for measuring school quality. Building on Black’s work, Wulsin, too, recognized the importance of using boundary fixed effects to control for neighborhood characteristics in order to ensure that the effects of school quality on housing prices are not overstated. Wulsin gathered the following data on houses in Durham County: the fair market value of the house, observable characteristics that affect house prices, which school attendance zone the house is in, and the distance the house is to the border of the school attendance zone. 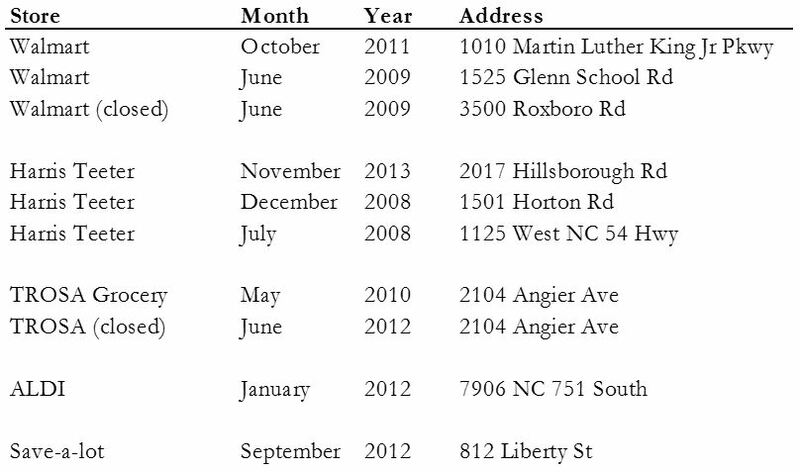 He gathered data from sources such as the Durham Tax Assessors Office and Durham Public Schools. Wulsin then worked with GIS shapefiles, computer software programs such as ArcMap, StatTransfer, and Stata, and an OLS regression to organize and decipher the data. After collecting and interpreting his data, Wulsin concluded that “parents do pay more to live in areas with better schools”. 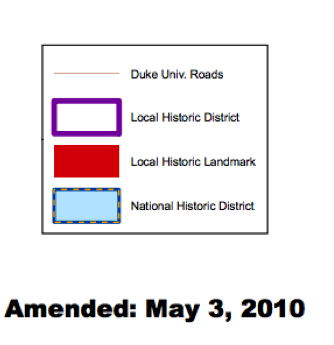 Wulsin’s study found that in Durham Country school districts, a 10% increase in elementary school scores leads to an 11% increase in housing prices, a 10% increase in middle school scores leads to an 11% increase in housing prices, and a 10% increase in high school scores leads to a 5% increase in housing prices. Thus, it can be seen that an increase in school quality, as measured by test scores, once again leads to an increase in housing prices in that school attendance zone. As with many other attractive neighborhood qualities, it has been observed that people value the quality of the schools they send their children to. In fact, a 2000 survey by the Philadelphia City Planning Commission found that the third most important neighborhood characteristic for buyers and sellers with children was the presence of a good school in the area (TRF, 2007). Many researchers have attempted to determine the exact value consumers place on school quality and have used housing prices as a means of measurement. As shown by the studies analyzed above, better school quality is correlated to higher housing prices. Furthermore, this trend has been observed across the United States. However, there are still several issues that need to be explored further. Firstly, measuring school quality is often difficult and very subjective. Many have argued for the use of input-based metrics such as per-pupil spending while others believe that output-based measurements such as test scores are a better indication of school quality. Future studies should attempt to collect and use a greater range of data on each school observed in order to gain a clearer picture of what makes a school “good quality”. Furthermore, researchers need to continue to develop better ways to isolate the effects of school quality on housing prices and reduce, with an ultimate goal to eliminate omitted variable bias in which variables such as neighborhood characteristics and property taxes cause an overestimate of the impact of school quality on housing prices. In conclusion, as each of these papers has shown, the quality of a school has a positive impact on the prices of houses located within that school attendance zone. This finding is not only important to homeowners and parents, but also to economists and policy makers. Because it has been found that better quality schools increase the real estate value of houses in their areas, improving schools can be a method for improving neighborhoods and stimulating economic growth. Black, Sandra. 1999. “Do Better Schools Matter? Parental Variation of Elementary Education”. Quarterly Journal of Economics, Vol. 114. 4 February 2013. Owusu-Edusei, Kwame and Molley Espey. 2003. “School Quality and Property Values in Greenville, South Carolina.” Department of Agricultural and Applied Economics, Clemson University. 30 January 2013. The Reinvestment Fund. 2007. “Schools in the Neighborhood: Are Housing Prices Affected by School Quality?” Reinvestment Brief: Issue 6. 30 January 2013. Tiebout, Charles. 1956. “A Pure Theory of Local Expenditures”. Journal of Political Economy. 5 February 2013. Wulsin, John. 2009. “An Analysis of the Effects of Public School Quality on House Prices in Durham, North Carolina.” Economics Department, University of North Carolina at Chapel Hill. 2 February 2013.